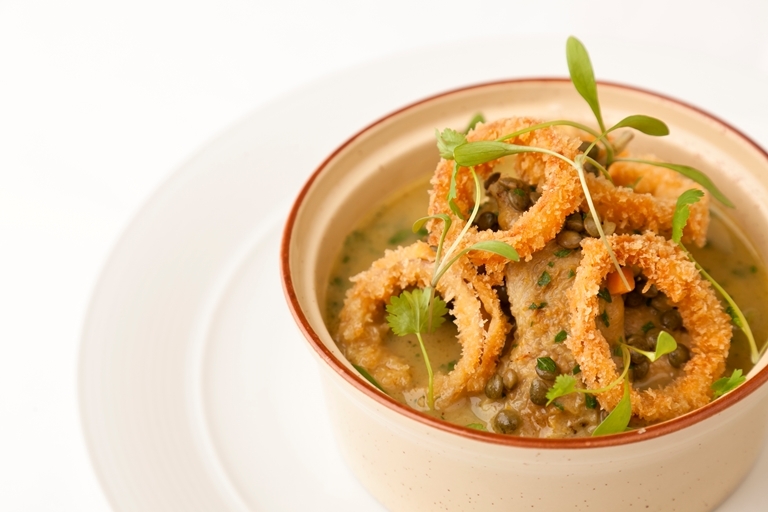 This mulligatawny recipe is a comforting and delicious dish from The Gilbert Scott. Perfect for the winter months, Marcus Wareing combines quails and the curry spice of Colonial India's mulligatawny soup in this cosy starter. Crispy onion rings add extra texture and flavour to the dish.